Note: If you would like to stay overnight in Cuenca, please let us know. 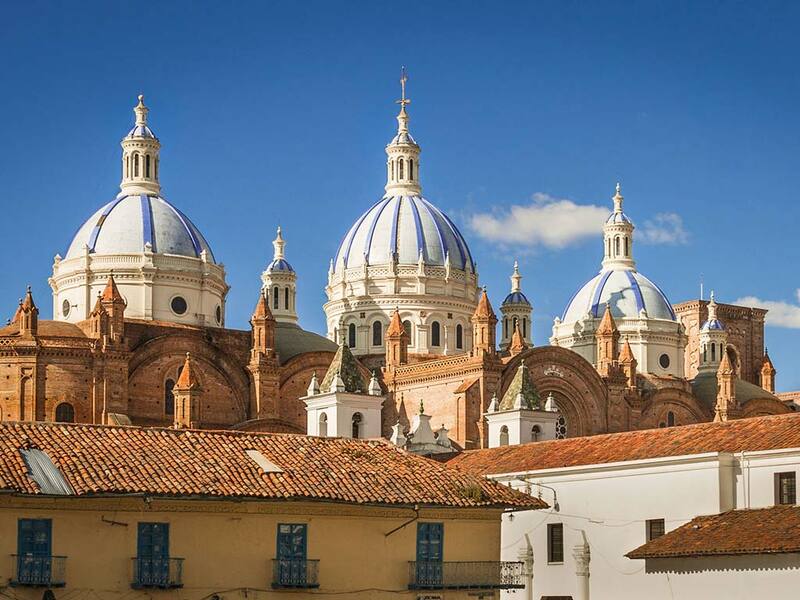 Cuenca is Ecuador’s one of the most important and beautiful colonial cities. But don’t tell that to the locals, who insist that their laid-back culture, cleaner streets and more agreeable weather outclass the capital. Dating from the 16th century, Cuenca’s historic center, a Unesco World Heritage Site with its trademark skyline of massive rotundas and soaring steeples, is a place time keeps forgetting; nuns march along cobblestone streets, kids in Catholic-school uniforms skip past historic churches, and old ladies spy on promenading lovers from their geranium-filled balconies. The city is the center of many craft traditions, including ceramics, metalwork and the internationally famous panama hat. After visiting the cathedral and other important and rich landmarks we will have lunch at a traditional restaurant favorite of ours before we head back to Hacienda La Danesa. Only 30 minutes from Cuenca, Cajas National Park will be one of the highlights of your travel in Ecuador and is a paradise for both birdwatchers and hikers alike. This section is particularly abundant in birds. Please note that this experience starts at 6:30am and arrives back to Hacienda La Danesa at 6:00pm.